Many boys in North American culture are lost. 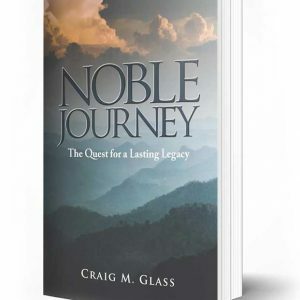 They are on a quest for identity and significance like men of all cultures. Sadly, in today’s world we have largely lost the powerful traditions of initiation into manhood. 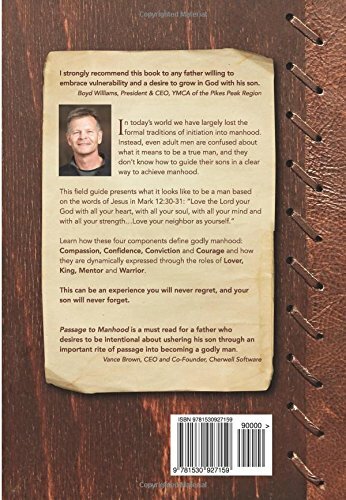 Instead, even adult men are confused about what it means to be a true man, and they wrestle with how to guide their sons in a clear way to achieve manhood. 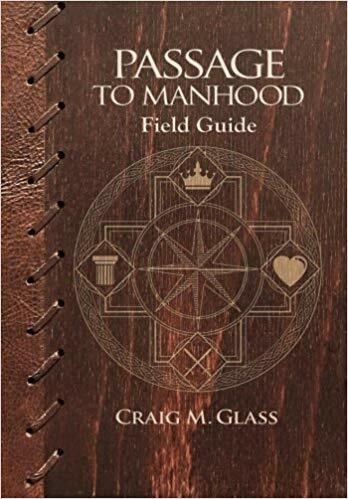 This field guide presents a clear and compelling description of what it looks like to be a man based on the words of Jesus in Mark 12:30-31: “Love the Lord your God with all your heart, with all your soul, with all your mind and with all your strength…Love your neighbor as yourself.” Learn how these four components inspire true manhood: Compassion, Confidence, Conviction and Courage and how they are dynamically expressed through the roles of Lover, King, Mentor and Warrior. This can be an experience you will never regret, and your son will never forget.